RIO DE JANEIRO, BRAZIL – Oscar buzz is building around Kleber Mendonça Filho’s drama “O Som ao Redor” (Neighboring Sounds), as The Brazilian Ministry of Culture announced its submission on Friday for the Academy Awards’ Foreign Film category. 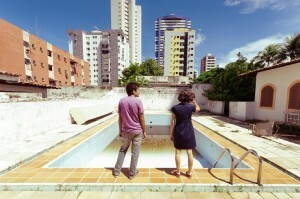 The movie, based on the lives of residents in middle class apartments on a single street in Recife, has received rave reviews among critics and was a favorite in the festival circuit last year. Mendonça Filho’s debut feature took the Best Picture award at the São Paulo International Film Festival and the Rio International Film Festival last year, and received another ten awards at the Gramado Film Festival. The Brazilian indie flick was ninth on A.O. Scott’s list of Best Films of 2012 in The New York Times. According to the distributor, “O Som ao Redor” was released in eleven countries. In Brazil, the film hit theaters last January 4th and was seen by nearly 100,000 people in cinemas across the country. Other candidates for the Brazilian bid included “Cine Holliúdy,” “Elena,” “Gonzaga de Pai para Filho” and “Uma História de Amor e Fúria.” Approximately seventy films from around the world will be submitted for consideration for the Best Foreign Film nomination at the Academy Awards. Of these, only five will be selected to compete for the golden statue in 2014. The finalists for the award will be announced on January 16th and the ceremony will be held on March 2nd at the Dolby Theatre in Los Angeles.